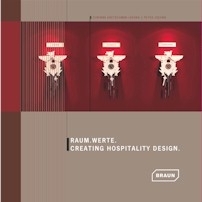 HAMBURG, Germany - March 2, 2010 - Interior designers JOI-Design are proud to present their first book: RAUM.WERTE: CREATING HOSPITALITY DESIGN. This lavishly illustrated volume showcases the Hamburg-based agency's work in the hotel and gastronomy sector. Interviews with well known frequent travellers and industry professionals reveal the key elements of successful hospitality design. A special highlight: futurologists look forward to the hotel trends of 2015. RAUM.WERTE is published by Verlagshaus Braun and can be ordered from bookstores or directly from JOI-Design. RAUM.WERTE is a showcase, trend report and a valuable resource for hotel designers and operators alike. “We are often asked our opinion on forthcoming trends in the field of hospitality design. Now we have put our experiences, our ideas and our vision to paper”, explains Peter Joehnk, managing director of JOI-Design. According to authors Corinna Kretschmar-Joehnk and Peter Joehnk, hospitality design is not an end in itself. JOI-Design's managing directors view hospitality design as an integral element of hospitality marketing strategies and as the spatial embodiment of corporate objectives. Peter Joehnk: “Our design concepts focus on the guests' needs and create long-lasting value - hence the title RAUM.WERTE (SPACE.VALUES).” According to the authors, hotels need to provide more than just excellent service - a fitting design and a distinctive style are the hallmarks of a successful hotel. “Modern hotel concepts need to excite, seduce and sell”, comments Corinna Kretschmar-Joehnk, managing director of JOI-Design. The lavishly illustrated, 224-page volume is divided into seven chapters. The Design.Projects chapter features an extensive review of JOI-Design's works. Navigation bars provide readers with an overview of each project and include key details such as the project's category, brief, size, hotel type, date of completion, and construction period. Compact texts outline each project's unique features. The chapter provides readers with a clear overview of the specific requirements of each project and the various phases of their realisation. “We wanted to strike a balance between in-depth information and communicating a general impression of each project that offers readers an insight into our working methods,” explains Corinna Kretschmar-Joehnk. Corinna Kretschmar-Joehnk and Peter Joehnk Their work ranges in scope from the complete refurbishment of design and boutique hotels, to the development of new gastronomic concepts and the creation of new interior designs for wellness and luxury hotels. Two of the projects showcased in this book were honoured at the ADEX Awards for exceptional design. The agency's design concept for the Le Meridien Parkhotel in Frankfurt won the ADEX Award for Interior Design. In their conclusion the jury noted that the design's Art Deco elements, use of state-of-the-art technology and evocative colour scheme perfectly blended the designs of the classical Grand Hotel and modern lifestyle hotels. JOI-Design was also awarded a Silver ADEX Award for their “Outside In” concept for the Munich Airport Mövenpick Hotel. The success of their design concepts for McDonald's illustrates JOI-Design's deep understanding of the gastronomy industry. Two design concepts developed by the Hamburg-based agency for the McCafe brand have been implemented in more than 2500 branches. The chapter entitled Unrealised.Designs features six designs that never reached fruition. Including fullcolour sketches and floor plans, this chapter highlights JOI-Design's remarkable creativity and their sensitive approach to concept development. Their design for a project in Brussels, for instance, was inspired by the city's Atomium monument and features a lobby complete with stylized atoms that provide distinctive meeting points. The chapter also includes interviews with leading industry figures such as Christian Böll (Managing Director Arabella Hospitality and ArabellaStarwood Hotels & Resorts) and Karl J. Pojer (Group Executive Management TUI Hotels & Resorts). Quizzed on the future of the hotel industry, Karl J. Pojer explains, “Authentic and sustainable development will become more important, whereas artificial resorts will face a steady decline.” In the same chapter business consultant Rudolf Münster riles against receptionists who prefer to stare at their computer displays rather than seek eye contact with their guests. “This book isn't just about us; we wanted to give others the opportunity to voice their opinions. The interviews with frequent travellers and industry figures offer valuable insights to anyone involved in the hospitality industry”, explains Peter Joehnk. In Design.Trends futurologists Elita Wiegand and Klaus Burmeister explore hospitality trends leading up to the year 2015. According to Wiegand and Burmeister hotel design reflects the broader social patterns and trends that shape our society. Their conclusion: the future of hospitality is creative, feminine and sustainable. “A hotel can fill a vacuum: as an off-line meeting place for on-line contacts, or as a place to study and work. 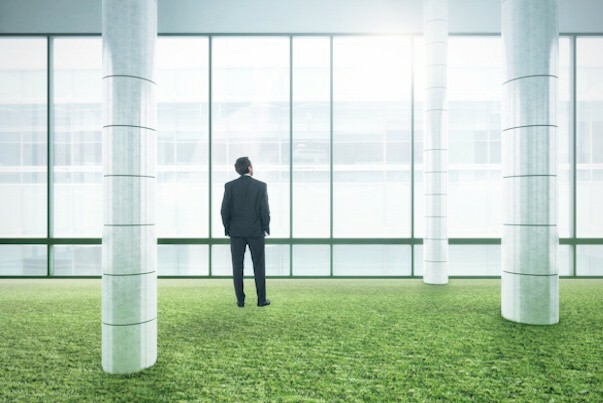 A hotel can be a workspace for virtual teams and a place to replenish your creative drive” Hotels are undergoing a transformation which will see their repertoire of services expand beyond such basic services as accommodation and gastronomy. Founded in 1984, JOI-Design specialises in hotel, gastronomy, wellness, and corporate design. Their team includes architects, stylists, graphic artists, and hotel consultants. JOI-Design understands that interior designs are an integral element of hospitality marketing strategies and the spatial embodiment of corporate objectives. Their design concepts are characterised by a holistic approach and sensitive awareness of corporate design requirements. The agency's international client list includes: Accor, Arabella-Sheraton, Dorint, Four-Seasons, Hilton, Intercontinental, Kempinski, Lindner, McDonald´s, and Steigenberger. JOI-Design employs approximately 40 people at its offices in Hamburg.